Posted on Sun, Mar 10, 2013 : 5:59 a.m.
Ann Arbor residents Kevin and Jen Pakravan are looking for a home in the area. Tired of his commute from Canton to Ann Arbor every workday, Devesh Srivastava started looking for a home to buy in Washtenaw County about three months ago. He has browsed hundreds of property listings online and toured about 25 homes in the Ann Arbor area. But mostly, he’s felt a lot of pressure from competing buyers. Srivastava is not alone in his experience: Activity in the Ann Arbor area housing market has accelerated in the past several months as more buyers look for homes and inventory shrinks. Realtors and house hunters are reporting a low inventory of homes for sale in the county. According to data compiled by the Ann Arbor Area Board of Realtors, there were 319 residential listings entered in January across the county, a 20 percent drop from January 2012. In many of the county’s larger subdivisions — like Foxfire, Arbor Hills, Briar Hill and Arbor Pointe — only one or two homes are currently listed for sale. Data pulled by Keller Williams’ Martin Bouma shows that of nearly 2,000 homes in 10 subdivisions, nine are listed for sale and five of those are under contract. “I don’t recall ever seeing this kind of frenzy that we’re seeing right now,” Bouma said. Rick Taylor of Charles Reinhart Company added: "It's shockingly low inventory. It's the sellers who have the power right now." 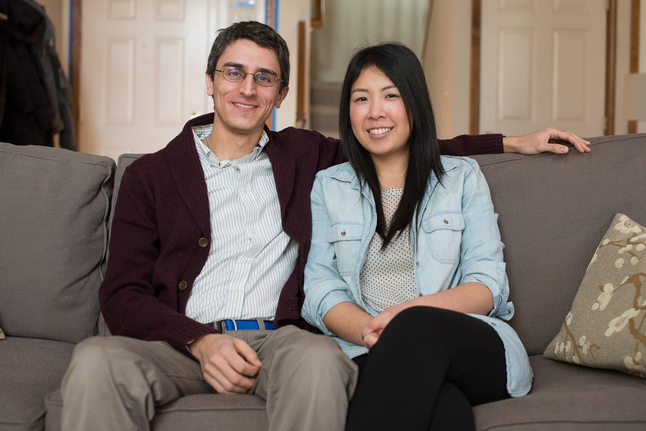 In January, Ann Arbor residents Jen Pakravan and her husband, Kevin, amped up their search for a home in the area. After finding a house they “fell in love with,” they made an offer for $1,000 below listing price. “We came to find out that other buyers offered more than asking price and they did so without even seeing the house first. That’s the market we’re in right now,” Jen wrote in an email interview. The Pakravans' experience reflects trends happening nationwide: The National Association of Realtors reports housing inventory in January was down 4.9 percent from January 2011. "Buyer traffic is continuing to pick up, while seller traffic is holding steady," said Lawrence Yun, the group's chief economist. "In fact, buyer traffic is 40 percent above a year ago, so there is plenty of demand but insufficient inventory to improve sales more strongly. We've transitioned into a seller's market in much of the country." Bouma said it’s common to have multiple offers — and even sight unseen offers — above listing price on homes in Washtenaw County right now. He said a house in the Fleming Creek subdivision northeast of Ann Arbor recently had a half dozen competing offers and sold for $30,000 above the $389,900 listing price. He's also getting multiple full-priced offers on houses in the Lincoln school district, he said. That’s reflected in year-end home sale data from the Ann Arbor Area Board of Realtors, which shows home sale prices in the county were up 9.2 percent in 2012 over 2011. In January, home sales in the county were up 33.7 percent over the same period in 2011. Still, the average 2012 sale price of $210,616 is well below the average sale prices a decade ago, and appraisals haven’t caught up with what buyers are willing to pay. But with the low inventory and high demand, Realtors say prices will continue to rise. Matt Dejanovich of Real Estate One said his advice to house hunters is to tour a house as soon as the listing hits the market. Otherwise, he said, “the house may very well be sold.” He said buyers can find homes for sale in the county, but they may have to compromise on some desired features. For some house hunters, like Jonathon Njus and his wife, Nori Flautner, the lack of housing inventory is leading them to consider renting instead. The couple recently moved to Ann Arbor from the Washington D.C. area and they are struggling to find the right house for sale in the Ann Arbor school district that's in their price range. Along with their two daughters, they are currently living at Flautner’s mother’s house until they find a home. which we don’t want to do,” Njus said. Bouma anticipates that as the county enters the busy spring market, buyers could see a wave of new listings. He also thinks the thousands of homes that were converted to rentals during the recession will be listed for sale as the market continues to improve. Tue, Mar 12, 2013 : 2:09 a.m.
Irregardless who is &quot;creating&quot; this situation, as a buyer-actively-in-search, I refuse to give in to this bidding frenzy. It's nuts to pay this amount of money for an average house not even built to last the next fifty years. Let those hot buns on the stove have it. Good things come to those who wait. Wed, Mar 13, 2013 : 12:20 a.m. Personally, I'm almost 90% sure we're going to end up buying in Ypsi. A2 seems to have priced itself out of range of first-time young starters like us. Many of my friends and co-workers my age have bought in Ypsi, and there are a few places there that seem to be drawing people in our situation. Add to that the growing number of fun new &quot;hip&quot; businesses and it's fairly appealing. The disparity between what we can get for our money in A2 and Ypsi is crazy. No contest. Tue, Mar 12, 2013 : 5:07 a.m. I agree it is a frenzy right now, but can anyone really say the market is going to calm down anytime soon? This frenzy is a bad sign for buyers looking for reasonably price housing in A2 in the future as all the factors mentioned in the article don't point towards prices going down anytime soon. A2 may get more inventory in the spring or summer but interest rates will still be low, jobs in the area will still be steady, foreclosures are unlikely to increase and people that are upside down in their mortgage have lasted this long and are most likely going to hold out until they can get close to what they owe. Add in the fact there are bank loans like the Homepath or Homestyle loans which makes renovations easy to do at the same time of purchasing a home and you get a frenzy even for homes that need renovations. Add up those facts up and it leads to higher home prices forecast for the future. Mon, Mar 11, 2013 : 7:30 p.m.
What makes realtors so sure the &quot;spring market&quot; will produce more inventory? Because it's been a normal occurrence every spring? 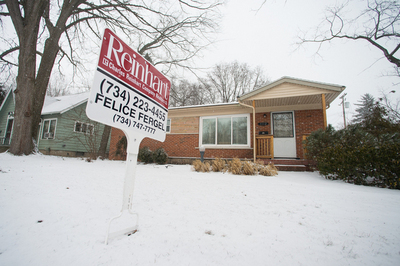 What has been NORMAL about Ann Arbor's housing market as of late? Mon, Mar 11, 2013 : 4:36 p.m.
&quot;... multiple full-priced offers on houses in the Lincoln school district ...&quot; Why oh why is it so hard to say the &quot;Y&quot; word? The Lincoln school district is in Ypsilanti Township. We looked in Saline, Ann Arbor, Pittsfield Township, Ypsilanti, and Ypsilanti Township. We couldn't be happier with our house in the &quot;Lincoln school district&quot;. Mon, Mar 11, 2013 : 1:14 p.m.
10 years since buying our small 1,000 square foot Ann Arbor ranch house, the market value is still $20K less than the original purchase price. I do wonder when we will have equity in our home? Mon, Mar 11, 2013 : 3:54 a.m. I am missing the logic (if any) of the apparent suggestion that if an Ann Arbor resident owns more than one house, and presumably rents some of them, he/she is a &quot;slumlord&quot;. What other stereotypes would the writers suggest? Race driven? ethnicity? I own one primary residence in Ann Arbor, four rental homes, and one office building. Each is maintained to first-rate standards, each is fully inspected and permitted. Tenants bid-up rents on our places. Are the writers suggesting a ban on being a landlord in AA? I wish I could have a &quot;pop inspection&quot; of the homes of the &quot;slumlord-slingers&quot; versus my properties. I know mine would compare favorably with most homes in AA. I don't understand this bias. Can someone explain? Mon, Mar 11, 2013 : 2:21 a.m. Shocking! Shocking I tell you that AnnArbor.com would report urgency in closing real estate deals. I wonder pray tell what percent of AnnArbor.com's revenues are related to real estate advertizing. I would guess 80%. I could be low. Mon, Mar 11, 2013 : 12:51 a.m. The banks along with Freddie Mac and Sally Mae are artificially causing this. I work for a property preservation company, we have almost 500 houses in Washtenaw County that we maintain which are foreclosed on, vacant, and not for sale. The banks don't want these houses on the market because it would cause true market prices and valuing to occur. Its one of the biggest scams happening in America today. They (the politicians who are letting this happen) still have not figured out that they need to stop manipulating the market..
Tue, Mar 12, 2013 : 1:19 a.m.
1Bit - The problem with this is once a house has been foreclosed on, there is a legal process the home is suppose to go through. The banks are fully reimbursed via the PMI insurance and/or TARP reimbursement. They are suppose to list these properties at real market price in order maintain deficiency, and the amount they can pursue from the homeowner they foreclosed on. But artificially pumping up the values of the homes in these neighborhoods, they create a false bottom, which interrupts the fair market process and results in a housing bubble. We've already been through one housing bubble crisis, the big lenders and big banks, along with the politicians they have in their pocketbooks didn't learn their lesson the first time and are repeating it. Tue, Mar 12, 2013 : 12:18 a.m.
@SIP: I'm perplexed that anyone has a problem with this practice. If you personally owned the homes, what would you do? Sell them all at once to lose as much money as possible? That makes no sense whatsoever. You wait until demand rises (if you can afford to do so) and then you try to sell. The banks (for whom I have no great fondness) have already taken a huge loss on these homes. It is only prudent to proceed as they are doing. No one is forcing anyone to sell their home. Mon, Mar 11, 2013 : 2:27 p.m.
Well, @1bit, it could be 'protecting your investment', but when it's done in these massive collusive manipulations, that can cause the RE people to get to pretend there is a new emergency to raise prices on a 'shockingly' unavailable resource, then I am thankful to people like @Patrick McNamara for telling us the truth! Thanks @Patrick. And shame on those speaking about needing to &quot;re-educate buyers&quot; and the folks who print on paper or online their, um, &quot;comments&quot; and interviews. Mon, Mar 11, 2013 : 2:23 p.m.
As 1bit said, this is part of the explanation, but isn't at all unexpected or new. The banks (and private sellers) are holding on to inventory and maintaining until prices come more into line with what they have invested. We'll see in a few months what that means for prices I guess. Meanwhile homes in neighborhoods sit vacant and draw break-ins and other property crime. Yay. Mon, Mar 11, 2013 : 1:15 a.m.
That's hardly a scam. It's called protecting your investment. Why exactly should the banks glut the market with homes? To drive down property values? They are making a business decision that it is cheaper to maintain the homes and wait for property values to rise rather than sell low. In fact, individual sellers are probably doing the exact same thing. Mon, Mar 11, 2013 : 12:04 a.m.
Sun, Mar 10, 2013 : 9:11 p.m. So many issues here to consider, and it will be interesting to see what the spring brings, and what happens when leases are up on some of the houses/condos converted to rentals during the downturn, as Bouma points out. I would love for AA.com to give us a sense of how significant the uptick in 'investors' has been, maybe even breaking it down by the buying-for-students-while-at-UM versus investors looking to rent or to fix up and flip. Don't freak out, potential buyers, and let Realtors convince you to hurry up with big decisions like buying a house! We should maybe every once in a while *learn* from our mistakes in that regard, and understand that unless you can take the hit of a big loss on RE because of needing to move or losing a job, home-buying isn't to be done lightly. Their rhetoric can be so, um, full of it. My guess is that with interest rates as low as they are, the mortgage people are back to convincing people that sticker-price doesn't matter too much, and we all know how *that* worked out for the currently underwater! Sun, Mar 10, 2013 : 8:18 p.m. Okay, What is actually right with this picture? Several young professionals intending to move into Ann Arbor. Maybe a bit too busy or upscale to buy into the 100k starter ranch fixer-upper. Perhaps not quite ready for the 400k middle model. Sounds perfect for those dense DDA highrise plans downtown. Or those new condo projects West side. Or does it? What do these young professional couples say they really want?. A bona fide house? Time to double the investment home tax (granny-flat rentals excluded). Or better yet, assess non-owner occupied property by each unit rather than by single address..
Mon, Mar 11, 2013 : 2:19 p.m. It's an interesting possible solution, but I'm not really going to bank on it. I'll keep it in mind though. Thanks. Sun, Mar 10, 2013 : 10:35 p.m.
&quot;Maybe a bit too busy or upscale to buy into the 100k starter ranch fixer-upper.&quot; Those DO NOT EXIST right now. I'm serious. We have been looking for a year. When they do come up, we have a hard time getting a showing before they are swiftly sold. &quot;Fixer upper&quot;s can be found, of course, if you have 3 months (because of the extent of the fixing required) and the spare time/cash to do the fixing while you pay a mortgage AND rent. Sun, Mar 10, 2013 : 7:24 p.m. I just looked on zillow.com and there are 880 homes for sale in ann arbor city. Seems like a lot of options out there. Sun, Mar 10, 2013 : 10:44 p.m.
A lot of options if you're gunning with a half-million $$$ or so. And as Rick and justanothervoice said, Zillow/Trulia/etc are very unreliable. Many properties are still on there even though they're not actually for sale, especially the foreclosure listings. Those are useless. Sun, Mar 10, 2013 : 8:25 p.m. If you are looking, don't forget the adjacent townships. More land, bigger houses, and taxes are about 1/2 the city rate. And you might even still be in the Ann Arbor Public School district. Be careful though, the city has been on an annex binge and anything within the freeway loop is suspect. Sun, Mar 10, 2013 : 7:56 p.m.
As one of those people trying to buy a home right now, I can tell you zillow is out of date. Most homes on there are already under contract or sold. Sun, Mar 10, 2013 : 7:46 p.m.
Sun, Mar 10, 2013 : 7:11 p.m. This article is spot on with what is going on in the real estate market. The realtors aren't looking for free advertising, they are telling it the way it is in the market right now. If you are actively looking for a house right now, you'll know that offers over asking price and sight unseen offers are indicative of the competition for what few available options are out there. Sun, Mar 10, 2013 : 6:22 p.m.
Sun, Mar 10, 2013 : 5:47 p.m.
Great news for the residents of OZ. Low suppy and high demand means high prices. That is one way to keep the unwashed masses out of the city. Sun, Mar 10, 2013 : 6:26 p.m.
Actually, it is a cyclical process whereby tax rates and stable growth equals exceptional amenities for A2 residence while in turn contributing the higher caliber job market and access to educational opportunities. Anyone can participate, you just have to play the game. Sun, Mar 10, 2013 : 4:49 p.m. It's been like this for at least a year now. We started looking in April of last year, and there is pretty much nothing in A2 that we can afford, unless we want a 700 sq ft dump that needs serious updating. We would have to be hitting the 250-300k mark for a mortgage to really start thinking about A2. We'll see what it's like in Spring when people start making moves out of town. Ypsi is a bit better, and we've found a couple houses we would have jumped on if we didn't have to run out our lease first. Still, houses there often suffer the same kind of issues as A2, with a lot of them needing significant updates and renovation, but at least they exist there. The worst is going in to look at a house that has obviously had a poor &quot;quick flip&quot; job done, or one that got half way through the flip and just left it. Half of the work will need to be redone within a year. Wed, Mar 13, 2013 : 12:13 a.m.
Exploiting people with more money than sense is something I would surely do, but I would be under no pretenses as to what it was that had taken place. Tue, Mar 12, 2013 : 12:38 a.m.
&quot;You might find someone who'll pay it, but don't kid yourself, you swindled them.&quot; Now you just sound bitter. You mean to tell me if the shoe was on the other foot you would glady accept 50K less than what the market would give you because you didn't want to &quot;swindle them&quot;. Mon, Mar 11, 2013 : 2:12 p.m. Thanks Rick. We have a realtor search set up, and have been to a couple homes to look, but like I mentioned, our biggest thing is waiting till our lease runs out. The fact that the options right now are few and far between in A2 is just kind of the icing on the depression cake. @Soft Paw, while that may be true for some of the homes in that range, many of the ones we've looked at really are in terrible condition, and I have to stretch to even justify a 100-130k price for most of them. I'm not kidding when I say many of them really do need to just be gutted. Some of them look like they hadn't been touched since the 70s. I shudder to think what unexpected costs would pop up 1 year after closing. The A2 market, from what I've seen, is filled with sub-par houses at inflated costs, even in a &quot;down&quot; market. You can try and justify those kinds of prices based on &quot;that's what the market will bear&quot;, but I've lived in far too many other places with better markets providing better homes to buy into whatever some of these sellers are thinking. If you have a 900 sq/ft ranch with cracked foundation and a Nixon-era kitchen, and you're looking for 180k, sorry, it isn't worth that much. No way. You might find someone who'll pay it, but don't kid yourself, you swindled them. Sun, Mar 10, 2013 : 11:46 p.m.
John, are you set up on an automated search? It's highly effective because it shows all homes that come onto the MLS within seconds of making it onto the market. You should call your agent to set you up or call me if not working with anyone, forgive the plug. Sun, Mar 10, 2013 : 10:42 p.m.
John, only a nut would give up a house like you want for 130K. They can easily get 180, more if they are patient. Sun, Mar 10, 2013 : 10:30 p.m.
We're trying for something in the area of 11/1200 sq ft, for around 130k. We've found some, but they either don't stick around long, or have structural or other issues that would make them prohibitively expensive when factored into cost. Either that or they're out in the far-out burbs or in Saline or something where there is no public transit for miles. We only have one car, and buying another one is possible, but not desirable if we can get around it. Sun, Mar 10, 2013 : 6:21 p.m.
How big a house are you looking for? I know on the South/Southwest side there are houses around 1000 ft and over that are selling for under 200k and they ar fairly new developments in good condition. If you're looking right by campus everything is going to be old, really expensive, or both. But I know neighbors who have been taking losses, and contrary to this article, the prices haven't bounced back THAT fast. Sun, Mar 10, 2013 : 4:33 p.m.
My neighbors are in the business of fixing up A2 houses that are being purchased by parents of students for &quot;student housing&quot;. They set up a house for 4 or 5 kids to live in while they attend classes. The house is titled in the name of their kid. After graduation, the house is sold. Because of the relatively low risk, this is a good deal, even if the house depreciates. Because its a private home, no inspections, no permits, no bother. Because of the rents, its a win-win for all. Parents and owners could care less whether the house is overpriced based on location or square footage or condition. It only has to stand up for 4 or 5 years. The only 'problems' they have are finding 4 or 5 kids who can get along. Sun, Mar 10, 2013 : 7:29 p.m. I don't think the lack of inspections or permits for student housing is win-win. Kids can be careless and a lot of houses converted officially (vs what you are suggesting) to student housing are dumps. That's why student housing requires inspections. Sun, Mar 10, 2013 : 6:28 p.m.
Actually, most parents buy condos in tower plaza for their kids. Sun, Mar 10, 2013 : 4:31 p.m. I'll let others cite wider numbers, but in the four subs around me (Ann Arbor/Pittsfield) there is not one home for sale. That's over 200 units built from 1980-2009 in the $250-500 range. Everything that hit the market has gone within a month and I'm seeing SF prices head into the $150 range from 2010's $125. I'm not smart enough to figure out why more units don't hit the market. Sun, Mar 10, 2013 : 4:30 p.m.
Quit turning homes into parking lots! Sun, Mar 10, 2013 : 3:56 p.m. I concur with Stupid Hick. I was SHOCKED to hear Realtors telling people to hurry up and buy. Any coincidence that these guys spends lots of money advertising in A2.com? Sun, Mar 10, 2013 : 3:26 p.m.
What is 'shocking' to me is how easily publicism for a realtor passes as journalism here. Mon, Mar 11, 2013 : 4:42 p.m. This is my reply to your question (username Stupid hick). A buyer or seller look to someone like myself as a professional who understands their real estate market. Furthermore, buyers and sellers in Ann Arbor and the surrounding areas are among the smartest in the country. I'm not flattering anyone, it's factually correct. What I &quot;got&quot; from this article was the local media to describe what's happening in the local real estate market. There is a huge disconnect with our local citizens who think the real estate market is still declining. That thought process has sellers nervous about putting their house on the market and that's why we have few homes on the market leading to low inventories. Of course, some sellers are still underwater but that's getting better and better. Think out it, the national news doesn't reflect our local economy and the local Detroit tv news doesn't reflect our local economy either. I'm constantly asked if and when the bleeding will stop by local buyers and sellers and that's simply not the case, it just isn't. I want sellers to put their house on the market if they want too. But, the truth is many don't because they still think its still 2008. The good news is that sellers are starting to see improvements to the market and now they're saying &quot;finally!&quot; I'm all for that. Most importantly, I will never push a client to put their home on the market for 2 reasons. First, nobody likes to be pushed around. A seller pushed in that way will find every reason not the make the deal work (as they should). Secondly, they will trash your name in the process and that's the worst press you can get. A Realtor can get away with that once or twice but that's about it. Finally, Realtor's have a &quot;fiduciary&quot; or legal duty to represent their clients to the best of their ability (beyond the Realtor's pay check). Our success or failure is dependent upon that principle. Sun, Mar 10, 2013 : 10:11 p.m.
@Hick: Your comments are interesting and I think requesting more details is helpful. With that said, I have heard many friends (not in the article) mentioning exactly this to me. They are having trouble finding a home because they are being outbid, sometimes sight unseen. I think &quot;Ann Arbor&quot; is too broad a location and there are probably areas that are more desirable than others. There is also probably a price range that is the &quot;sweet spot&quot;. Anecdotally, the higher end stuff still isn't moving from what I've heard. Sun, Mar 10, 2013 : 9:54 p.m.
Sun, Mar 10, 2013 : 7:37 p.m. I can see your point but asking a Realtor their honest opinion seems fair. Our reputation is our most important asset and the vast majority of us wouldn't risk our business to make up statistics. I think the public has a right to know how the market is doing because many homeowners are still pretty nervous about whether they should take that leap of faith or stay put. The Ann Arbor Area Board of Realtors also has the data on very low inventory numbers throughout Washtenaw County as well, their number is (734)761-7340. Sun, Mar 10, 2013 : 6:30 p.m. It's useful information about the local economy. Particularly useful to my family for we know several people trying to buy homes and move here from other cities. It's shocking to me how angry, uninformed rambling counts as commentary here. Sun, Mar 10, 2013 : 2:53 p.m.
Are appraisals beginning to reflect this new market reality? For the last few years it seemed like every appaisal came in quite a bit lower than the actual market value based on offers made and accepted. And that hurt people's ability to get financing. Sun, Mar 10, 2013 : 8:03 p.m. I was shocked to see my Superior Township 2013 assessment decline yet again. I'm not sure what they even base this on, given that 2012 sales in my subdivision (Oakbrook) were next to nothing, and I find a grand total of 1 house listed out of 500 or so, and it's overpriced so it's been on the market for a while. Makes me wonder if the only 2012 sales were for distressed properties (that's all I ever really saw listed) and it's skewing the numbers to the point where Realtors are giving bad advice on listing amounts so low that it's scaring people out of putting their homes on the market, and if assessors are basing their figures on the only data they have- distressed sales- rather than real market conditions that might allow for more reasonable prices were there actually any normal-sale homes on the market. Sun, Mar 10, 2013 : 2:46 p.m.
Come to Lenawee County. We are not affected by the false value increases yet. Ann Arbor area seems somewhat insulated against the recession due to the UM and the Hospitals being able to charge whatever prices they want. I have noticed the Realtors are trying to drive the prices up however. Tue, Apr 30, 2013 : 8:21 p.m.
Sun, Mar 10, 2013 : 4:57 p.m. I guess if I wanted to buy another car and have to drive 1.5 hours into A2 for work then that would be an option. Sun, Mar 10, 2013 : 3:58 p.m. I was thinking the same thing. In A2 you get very high taxes too. You can get a lot more house in the surrounding communities for what you would pay in A2. Sun, Mar 10, 2013 : 3:12 p.m.
Sun, Mar 10, 2013 : 2:35 p.m.
Re educating buyers is one of the toughest things we are doing right now. We are seeing multiple offers and that is not something buyers have experienced the last 8 years. Sometimes it takes writing a few offers so they learn that the good houses go quick. We are no longer seeing offers come in under 10% as common when we were in a down turn. No one knows how long this will last or if it is bump...the housing industry has always been dominated by job growth. Sun, Mar 10, 2013 : 2:13 p.m.
Mon, Mar 11, 2013 : 4:26 p.m.
With all due respect, the article was written by Lizzy and not a Realtor. I'm glad it was written because it accurately reflects the current real estate market in our area. I'm frustrated at how buyer clients have yelled at us Realtor's for not warning them enough that things are moving quickly. I can't tell you how many times I've had buyers tell me they didn't realize how fast they had to move. So, I'm glad she wrote it. Maybe buyers and sellers will take comfort in understanding the market a bit better than before. Sun, Mar 10, 2013 : 9:19 p.m.
Ugh. Because this was wriiten by realtor, This response reads like a public service announcement or commercial. I'm jut saying. Sun, Mar 10, 2013 : 1:13 p.m.
What is the going realtor commission in Ann Arbor these days? Does it apply across the board or is it variable/negotiable for high end price range? Sun, Mar 10, 2013 : 8:02 p.m.
Sun, Mar 10, 2013 : 4:56 p.m.
Sun, Mar 10, 2013 : 2:47 p.m.
Sun, Mar 10, 2013 : 2:39 p.m.
Standard commission is 6%, I negotiated 4% with my agent. Not sure if other agents are negotiating on their commission tho. Sun, Mar 10, 2013 : 2:30 p.m.
Real Estate commissions are negotiable, there is no set fixed rate. Sun, Mar 10, 2013 : 12:50 p.m.
Census Washtenaw 2007-2011 347,962 people (113,934 in A2-2010 &amp; 114,925 est. A2-2011) 147,510 homes (49,789 in A2-2010) 134,165 households (45,457 in A2-2010) home ownership 62.4% (46.4% in A2-2010, 73.5% in MI-2010) From the U.S. census then About 1000 A2 people were added to Ann Arbor in 2011 (0.9%) About 700 of those were UM students. So 300 more Ann Arbor residents (0.27%) There exists about 13,345 more homes than all households in Washtenaw. There exists about 4,332 more homes than all households in Ann Arbor. Maybe the DDA should address multi-home ownership and rentals (slUMlords). Sun, Mar 10, 2013 : 2:50 p.m. I have owned three homes and haven't made money on any of them. I might be inclined to rent from someone who can put the cash up front. Renting doesn't make people slum dwellers. Sun, Mar 10, 2013 : 12:44 p.m.
How does Ypsi compare to AA? Mon, Mar 11, 2013 : 12:05 p.m.
Sun, Mar 10, 2013 : 1:26 p.m.
Sun, Mar 10, 2013 : 12:19 p.m.
Lizzy, this is a very interesting article. It would be helpful to know the price range of the homes that are selling and those that are not. I presume that the under $400k market is hot whereas homes in the jumbo loan area are probably slower to move (or come on the market). Did the realtors you spoke with provide any insight on this? Sun, Mar 10, 2013 : 10:05 p.m. Thanks - I'll look forward to your next article. It will be interesting to see what is recovering exactly. Sun, Mar 10, 2013 : 1:24 p.m.
Sun, Mar 10, 2013 : 11:40 a.m. I am concerned about these &quot;Top&quot; selling realtors representing a disproportionate number of real estate sales. I could never figure out why someone would consider them their first choice. Sure you want someone who does their job well but you also want someone who is giving your needs their personal attention. I don't see how one person can personally handle all the details of some of these yearly sales figures being touted. Unless they are farming out different aspects of their duties. When you hire a realtor with a proven track record, who personally handles all the duties of a realtor, I feel you get a bigger bang for your buck. There is only so much time in day for life and work. Sun, Mar 10, 2013 : 2:51 p.m.
&quot; It's a business transaction. Get it done.&quot; exactly, that's my point. I am not espousing the use of 'top sellers' I just felt the initial tone was they are somehow inferior. Craig: Top selling often refers to dollars, not quantity. My experience also is that the flashy realtors with the &quot;teams&quot; do a much worse job. They get a large number of listings so they are &quot;top sellers&quot;, but they don't get as much for the homes nor sell them as quickly. That said, I've also found that if I use a realtor that's real nice, they often don't have what it takes to get the deal done. It's a business transaction. Get it done. Sun, Mar 10, 2013 : 2:01 p.m.
LXIX, you used the term &quot;well known&quot; as a replacement for &quot;top seller&quot; which reads better to make your point that &quot;well known&quot; providers don't always get there by being popular or service oriented.&quot; But on the other hand the original term used was &quot;top seller&quot; and they get there by selling more than everyone else. I think there is a big difference if I am a buyer versus a seller. If I am a buyer I can do a lot of my own leg work looking for houses that meet my criteria. Then I can tell my realator I want to see this that or the other. On the other hand if I'm a seller its harder for me to actively seek my own buyers. So its most important for me as a seller to have someone who can find me buyers. Sun, Mar 10, 2013 : 1:27 p.m.
Why would have anyone have eaten one of those &quot;over 1 billion served&quot; pink slimeburgers ? Just as in any business, mergers and dominant size don't always denote quality or even popularity. People tend towards big and &quot;well known&quot; rather than risk the pitfalls of the newer smaller guy. Unfortunately, the &quot;well known&quot; providers don't always get there by being popular or service oriented. Sun, Mar 10, 2013 : 12:23 p.m.
Thoughtful's experience aside how does a &quot;top selling Realtor&quot; get to be a top selling Realtor if not by bringing buyers and sellers together at a higher rate than average? Sun, Mar 10, 2013 : 12:04 p.m. I agree. We dumped one of the aforementioned &quot; top realtors&quot; because of the lack of personal attention, and the fact that he just didn't give a crap about our listing- or our agreed upon terms. Our house didn't sell with him, and as soon as we changed to someone who did give personal attention, bingo, house sold! His staff who didn't handle the details were lacking as well. Big egoes go with that big hair and big track record. Never again. Sun, Mar 10, 2013 : 11:39 a.m.
Sun, Mar 10, 2013 : 9:43 p.m.
@Steve Bean: No I haven't seen that 2012 data yet. Stephen, have you seen anywhere what the numbers were for 2012? Sun, Mar 10, 2013 : 11:36 a.m. Sight unseen offers? So what wanna-be Ann Arborite family, making their long-term life commitment go home shopping online as if this were the Amazon? They wouldn't. &quot;Realtors are attributing the low inventory in Washtenaw County to several factors...&quot; And the main reason missing is - o global Investors. The only people with money to burn who are desparate for safe &quot;real&quot; investments beside rows of gold bars under their pillow. Buy low sell high. And in a limited &quot;real&quot; supply like Earth with world investors now in on this market guess what happens? How about a new local ordinance - must live at owned property in town or must pay wazoo tax on any secondary residences. Gives those &quot;young professional&quot; families a nice City welcome. Fewer slum lords. Sun, Mar 10, 2013 : 5:07 p.m.
LXIX, look again at those Trulia and Zillow listings, and make sure to filter out the foreclosure listings, since those are useless on either site (they may or may not make it to market, and at what price who really knows). The biggest congregation of houses listed on both sites are in SE and West A2, and that is where we have been most open to buying. Even still, most of the houses that are still listed, have been so for months, and there is a reason. They are either too small (sometimes smaller than our apartment), or need very serious updates before anyone would really be able to live in them. This is the most annoying thing about the A2 market. The amount of absolute dumps that are listed for 100k and above. Probably 90% of that price is land value I'm guessing. Some of the houses will basically have to be gutted. It's really depressing for young first-time home buyers looking in this area. Sun, Mar 10, 2013 : 1:59 p.m. Thanks Lizzy. Rick Taylor is correct about select availability by neighborhood. Looking at Trulia.com or Zillow.com maps there are about 800 Ann Arbor homes for sale and the vast majority of them are South of the Huron River. People must like the Northeast side more for some reason. Sun, Mar 10, 2013 : 1:32 p.m.
Sun, Mar 10, 2013 : 1:19 p.m.
You raise a good point about investors, and that's certainly happening. Although, I'm also hearing about families making sight unseen offers. It's also common that, because inventory is so tight, only one family member can look at a house before making an offer. I have friends in that situation. Sun, Mar 10, 2013 : 1:10 p.m. Thanks for that. Not talking about owner exemptions nor even rental business expense writeoffs. Was referring to investors skewing local home values and squeezing families out of the home-sweet-home Ann Arbor market. A straight city non-homestead tax would discourage those speculating profiteers and encourage one home-owned residents/taxpayers/voters. Kinda like a normal town. Sun, Mar 10, 2013 : 12:34 p.m. Although I cannot understand most of your post, I will comment on the tax issue. If the home being purchased is not a primary resident for the owner, the owner will pay significantly higher taxes on that home because of the loss of the Homestead exemption. I believe it may be as high as 30% more, but that may depend on the house. Sun, Mar 10, 2013 : 11:29 a.m.
Our bank just signed a contract to sell a small foreclosed home in Ypsilanti for $71,200 a few days ago, $11,300 above the listing price we had set of $59,900. We had multiple offers above the listing price. When the supply of homes in a market is less than seven months inventory versus the number of transactions per month, prices rise. Overall at the moment in the county, there is only a three month supply of homes on the market. &quot;Year-end data compiled by the Ann Arbor Area Board of Realtors show there were 3,340 home sales in Washtenaw County last year.&quot; As of last January, &quot;there are currently 754 residential homes and 133 condominiums available in the county.&quot; See: www.annarbor.com/business-review/real-estate-recovery-2012-washtenaw-county-home-sales-show-improvement-1/ Inventory levels are lower now. For example, as of two weeks ago there were only 4 unsold listed condos in downtown Ann Arbor. Since the county is rapidly growing jobs and population, until some dynamic changes (such as a nationwide recession), home prices will rise except in those few local areas where there is still more than seven months supply. Home prices will continue to rise until they are higher than replacement cost. Home builders will not build spec homes until the cost of a new home is less than the market rate for a similar home. This is excellent news not just for struggling underwater home owners, but on many levels: it's good for government budgets, local businesses, job growth, and getting the moribund home building industry back on it's feet. The following article and a related MLive one notes that the population of Washtenaw County rose 3,171 (0.9%) just during 2011, to 347,962: http://www.annarbor.com/news/washtenaw-county-sees-09-population-growth-in-2011/ Rising population driven by job growth is creating this dynamic. Sun, Mar 10, 2013 : 9:47 p.m.
@Joe Semifero: New construction will not begin until home values rise above the cost of new construction. The rise in home prices *is* therefore great news for local units of government. Joe - don't forget about the other side of the coin. When the economy was at its worst, property values (really taxable values) didn't go down as much as the market forces should have brought them down because of Prop. A. Thus local governments did not see rapid declines in their tax revenues either because of the caps. This piece of legislation has worked just as it was intended to do. For us not to see dramatically big swings in our property taxes, in either direction. I feel like I can have my cake and eat it to. Just because buyers are paying more than the listing price does not mean the property is worth more. I&quot;m sure the sale prices are likely substantially less than the previous pre-foreclosure value! Sun, Mar 10, 2013 : 2:43 p.m.
@Joe Semifero, Local governments were riding high on the housing bubble during the previous decade. While they took a bath during the recession (just as their communities did), they are now starting to increase taxable value again. A modest increase is better than a precipitous decrease year after year. So yes, it is better. Just not more better. Sun, Mar 10, 2013 : 2:08 p.m.
&quot;...it's good for government budgets...&quot; Not really. Taxable values are capped by Prop A at increases of 5% or the rate of inflation, whichever is less. In addition, Headlee requires governments to rollback millage rates to match increases in home values, negating the impact of higher prices. Unless Headlee overrides are approved by voters, the effect of these laws with decreasing values over the last 5 years was to ratchet down what local governments receive in tax revenues, with no other way for those numbers to go back up. The only way to increase revenue for local governments is to have new development which adds to the tax rolls. Although other factors might help, this rise in property values will not help local government coffers very much.